(P1) If terrorists are using the Internet, then take the Internet away. (P2) That’s what Donald Trump, the FRONT-RUNNER to be the Republican nominee for president of the United States, suggested last night at the final DEBATE of the year. (P3) Trump TEMPERED the remark by saying the US should shut down the Web in ISIS-controlled Syria and Iraq, but his idea could still be a LOGISTICAL NIGHTMARE. (P4) It was one of many suggestions last night from candidates making grand claims about what they’d do to keep the Internet from helping terrorists and other BAD GUYS. From expanding the NSA‘s collection of phone call data to hacking China, everything was ON THE TABLE. (P5) Trump’s idea might have been the most ambitious. Experts say it would be nearly impossible to IMPLEMENT. (P6) Remember that the Internet is a vast and interconnected network of computers. To cut people out, you have two options: Internet providers on the ground and in the sky would all have to COOPERATE, or the US would have to send in troops just to destroy all the Internet connections. Even if US soldiers destroyed on-the-ground INFRASTRUCTURE like towers and computers, there’d still be satellites orbiting the planet and beaming down information. (P7) REGARDLESS OF the technical hurdles, experts say it’s also just a terrible idea. (P8) “Preventing entire populations from getting access to basic information would be a HUMAN RIGHTS CATASTROPHE, particularly for areas of the world that are already WAR-TORN,” said Thomas Ristenpart, a computer science professor at Cornell Tech. The ability to find information with Internet-connected smartphones is VITAL to REFUGEES fleeing ISIS in Syria, for example. (P9) We REACHED OUT TO multiple companies that provide the backbone of the Internet, including Amazon, Cisco and Akamai, to learn more about the difficulties of turning the Internet off. They all either declined to comment, did not immediately respond, or asked not to be mentioned in this story because they didn’t believe it was a MEANINGFUL discussion. In politics, there is a lot of POSTURING – putting forward ideas that are not actually serious – and little meaningful discussion. Why is this true? 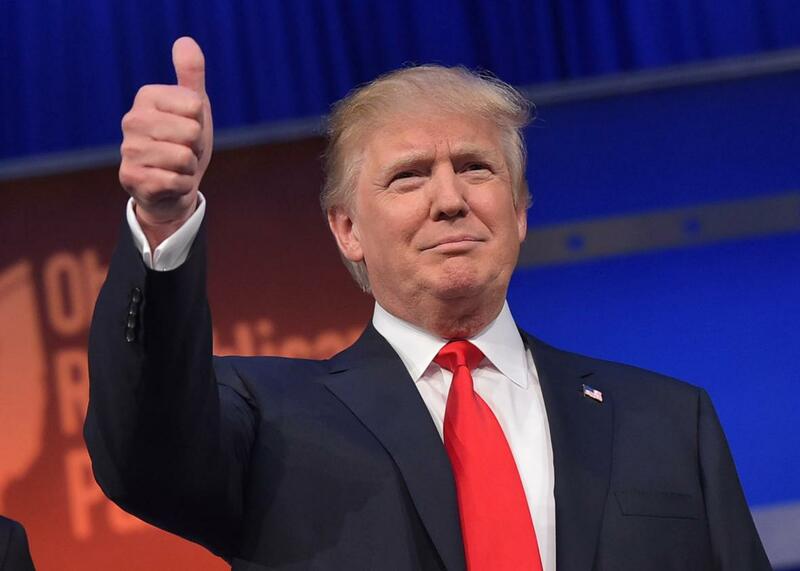 Do you think that Donald Trump will be the Republican nominee for U.S, President in 2016? Do you think he could win the election? Do you think the idea of cutting off the Internet to terrorist groups is good, bad, or simply IMPRACTICAL? Could you live without the Internet, or are you very DEPENDENT on it?